At Snappy Snaps we understand that not everyone has an iPhone or takes pictures with a smartphone which is why we cater for both digital and traditional film processing. We recognise that film isn't dead and many of our customers demand quality film processing which Snappy Snaps have been doing for over 30 years. 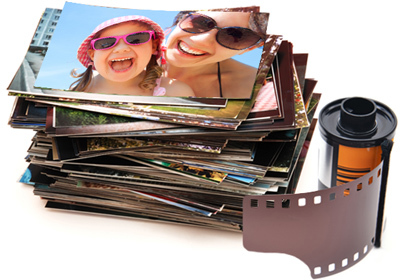 For our customers who use traditional film we develop and print most brands and formats of films. If you have taken pictures of your new grandchild or have just been on a family holiday, bring your film along to the friendly team at our Reading store and we will turn your memories into vibrant prints, you can then chose from a selection of other personalised products to put them on. 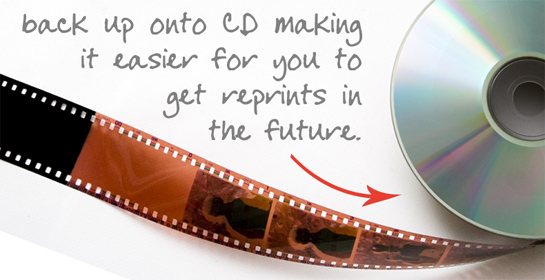 As print specialists, Snappy Snaps has the technology and skilled colleagues to process your film and bring your favourite memories to life. We also ensure you receive the best quality photographs every time, which is why we check each and every photo before we print, changing colour or density if needed. Processing your film with Snappy Snaps is quick and easy, we offer a convenient processing service so you can drop off your film when you are out shopping. Don't forget to order an extra set of prints that you can share with friends and family, and a digital back up onto CD/DVD making it easier for you to get reprints and enlargements in the future. Call into us now at 149 Friar Street Reading RG1 1EX where we offer a range of photo sizes for film in small, medium and large, in matt or gloss finish. We also give you the option to have white or coloured borders to frame your prints. 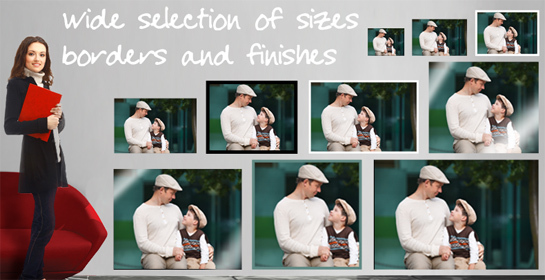 If you require made to measure photo sizes please come in to the shop and speak to our photo advisors or call us on 01189 586215. We can assist you in getting what you want and also show you our portfolio of ways you can display and share your favourite memories with friends and family.